Hi, Does anyone have a data key for TimePointCrossings.csv? How could I do a lookup to translate crossingid to some location for example. Servicedate is 00:00:00 so I would need to get that from tripid and maybe run. I have looked a little at GTFS realtime and NextBus without success. Crossingid just uniquely identifies the row. What you want is the stop. Compare that to stop_id in the GTFS stops.txt file for a description of the location as well as latitude and longitude. 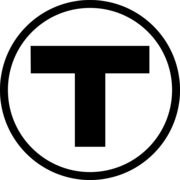 The stops.txt file has been published to Boston's spatial open data site, so you can grab it there via geoJSON or Esri JSON, kml, shapefile ready-to-go. Also posted is the "shapes.txt" file from GTFS. This is a csv of the vertices of lines and has been published as lines assembled from the vertices. Available here and accessible via Esri REST, geoJSON REST, kml, shape.